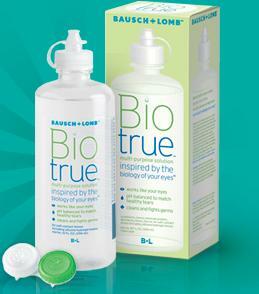 Take the Biotrue Challenge to receive a $4 coupon via email! Select No on the first question to get to the coupon. I recently tried Biotrue for the first time when my eye doctor gave me a sample, and as much as I thought I would still prefer the no-rub solution I was using before, I actually found Biotrue to work really well! It is formulated to feel like natural tears and is pH balanced. I'll be using this coupon to buy more.